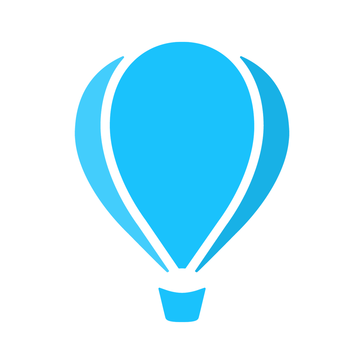 10,000ft is a high-level project and resource management tool built for modern teams. "Software for time, resourcing, and budget tracking"
This software is great for tracking your teams time against a project budget. Your team can put in their time daily, getting as granular as what category it is in and notes on what they did. It is great for for live time resourcing and budget management as you assign time to members and as they track their time each day. When archiving projects, the projects will still pop up when searching, which is very confusing when you have multiple projects with the same name, just different years. This is a very easy tool to use. If you're looking for something to plan our your resources and hours for projects or teams, this is a very helpful tool. 10,000ft has helped me be able to project budgets and resourcing for an entire year. The moment I get a new project I can go in and resource the hours. With this ability I can see exactly when we will need to hire someone new. Another issue is that it makes it hard to do "what-if" scenarios with resourcing and future planing. "Optimised planning & real time business insight"
The stand out element for me in 10kft is the clean & uncluttered UI, in order to have team members engage with new applications & tools it needs to be intuitive, easy to use & allow them to see the reasons of why they are being asked to implement new practices or process. I wouldnt say that there are elements of 10kft that I "dislike" I would say that there are perhaps enhancements or innovations that could be explored. The ability to upload assets to specific projects or work items would be handy. I would recommend taking out the 10kft trial, attempt to use it in a real world scenario & see if it if fit for what your business needs. This is the second time that I have introduced 10kft to a company at which I have been working. Clearly they are getting something right to the extent that it makes me want to return each time. With the recent improvements to the tool this has made it even more powerful & a great asset to our business transformation. "Use of 10X as a Project Manager "
I like that I can accurately keep track of my time and my projects time. It's also nice to be able to keep a daily track of the budget. Another thing that I really like about this program is the expense and fee reports and the time reporting outputs. We are solving staffing, time management, and budget problems with our use of 10,000ft. We have realized that is it is beneficial to be able to see the entires staffs schedules and hours billed and planned. "Really useful for our agency team"
I really like that you can see a clear break down of hours for your working day. We use 10000ft to schedule in our work for clients and to give a clear image of how many hours are being spent on certain areas of work or on certain projects and by which staff. As we often bill hourly, it's really helpful to accurately keep track of our work and invoicing - plus, it's great for organisation! I think the calendar function could do with some tweaking - maybe by allowing you to allocate each block of time to a specific time during the day (e.g. 1 hour on 10000ft can be added to your calendar as 1 hour at 1pm). Overall though, I think it's easy to use. It's really helped me to keep on top of my work and to stay organised. It also helps to show which team members may have some free time for meetings, etc during the week. "Great Time Tracking and Management Tool"
It gives summaries of all work on specific projects. It also allows you to track all the work you do as well as what you do in that time. This is super useful when writing reports and feeding back to clients on the work we do for them. All the features are great but there could be more that would mean we wouldn't have to use so many tools alongside it. Perhaps an integration with CRM? It's a great tool for agencies and other companies alike where time tracking is important. If you need a tool that helps you track projects and work, 10,000 ft is the one for you. We have specific hours that we work for each clients each month. 10,000 ft helps us track the time we really spend and the exact things we do in this time. This helps us report back to clients and let them know exactly what we have done. This can then be used to alter the hours we work for them and the cost of their projects. "User friendly, but not too much options for more complex projects"
I like it is user friendly and since I am in charge with training new employees within my company, it is not something very difficult for new comers to understand. I also like the possibility of integrating it with other apps. I don't like the fact that I cannot customize more the reporting part - for eg. I can select only two categories to show. I cannot create subfilters in reporting - for eg. I select two different people tags and I would like to have a possibility to select the people with both of the tags but, however, I can see all the people who have at least one of them. The cost management section is really underdeveloped and the tool cannnot be used for this from my point of view, as you only enter the expense category, the date and the values, which is just not enough. Moreover, if you would like to record all expenses, the process is time consuming as you need to go to each project manager and register the expense on their name. The new task management section is not very useful, as it cannot be used as an action list, since you cannot report it and the statuses are nothing automatic. "Transformed how we manage our teams"
Prior to implementing 10kft, we were using a mix of Excel, Quickbooks reports, and home grown tools to manage burn rates, plan staffing needs, and time sheets. We reviewed multiple options and found 10kft to be the right mix of micro and macro views without the need for weeks of training to get our project management team up and running. The UI was effective, efficient, and easy to learn. Recent updates to the Personal Page seem to focus too much on the micro/due today aspect of a project which is not useful to how we currently utilize 10kft but may be beneficial to others. Wish we could tailor these views to be more useful in how we work. Excellent tool for both allocating resources both short and long term to get a handle on staffing needs across multiple projects. Useful as a budgeting and burn rate tool through a project's life cycle. "Use 10k as a project manager ad an advertising agency." Visuals make it very easy to quickly determine resource allocation and availability. Interface is visually appealing - soft colors make it easy to work in the tool for extended periods of time. Some of the UI is difficult to navigate. Moving backwards and forwards between pages will at times erase all of the preset values/filters you've been working with, which can be a nuisance. I've also found when working on a project in the schedule page on the "day" view as opposed to week/month, it can be difficult to move resource allocations. The resources at times become obscured by other elements on the page due to how zoomed in they are. This is one of the first comprehensive project management tools I've used, however, I find it makes managing tight project budgets very efficient. It's easy to establish a clear resource plan in 10k, and from there, very easy to track the effectiveness or ineffectiveness of that plan. "10,000ft is Great as a Project Manager - Pricy as a Time Tracker"
Project summaries rock! The interface isn't difficult to pick up. Using 10,000X sure beat the old method we were using, Microsoft Office over at https://www.office.com/ , to manage projects - we were using Excel! One feature that we used quite a bit was the budget forecasting ability. I have to say, for someone that needs to forecast forward, this 10K ft is something you need to consider. The price. We've moved on to a point where we don't require so much the project management aspect of the product to where what we really need to do is track our employees' hours. We were using (and returned back to XPunch over at https://www.xpunch.com to use its time clock feature to punch in and punch out workers' hours because it's clocks in at only $1 / user / month. We were in a bit of a hurry to implement our solution and so things could have gone better. My best recommendation would be to fully review the support that is available for this product before trying to implement it. Resource tracking allowed us to get... well, as the name implies, a high altitude look at things. Sometimes your nose is just too close to the painting to get the big picture so to speak. Sorry for the punny jokes. I love the ability to forecast our revenue burn in an easy to understand format. Additionally, it has given us insights into potential resource availability. The team at 10k made the launch of this system an easy integration into our current workflows and offered a lot of support when we were first getting everyone on board. There were some usability issues that we discovered early on but we have been working with the 10K team to think through potential fixes. We did have to create our own unique API integration to track PTO which was something we wish 10K had. We really appreciate the partnership with 10K and their attention to quickly address the issues that we did have. Please take the time to demo this system because it is easy to use and the support is wonderful. It assisted in giving insights to budgets, time and expense tracking, and resource management. Resource tracking, budget tracking, time and expense tracking. the system has been robust enough to alleviate the issues we were experiencing with our old system. We were using a number of systems and were able to consolidate to use just one system. This type of consolidation and ease of use has given us reporting efficiencies across all teams and has allowed us to save time which equates to new potential revenue. "Good for the end user, confusing on the admin side"
I like that I can see my hours broken down by project and what I do compare to the allocation that I have. As a user - I wish there was an easier way to look at allocations details without needing to move to a single day view. I like to review in a monthly view. I recently started working as a project manager after doing a different job and using 10k as a regular user. 10k is not so friendly for managers. It won't let you review outliers on their own when you view everyone's allocation. It would be nice to get a digest and see which people do not have allocation and who goes over allocation. Also if there was an easy way to set vacation day instead of manually seeing 200% for a specific day and going to delete the allocations because the user is set to 100% day off. Hi there - thanks for your review! Great to hear that the planned vs. actual data is helpful. There are a couple features in the app that might help the pain points you described around spotting outliers and seeing a broader view of allocation across your team. This filter option highlights and sorts the most available people on your team to the top of the schedule, while your busiest folks get sorted to the bottom of the schedule. This makes it easier to see who's over/underloaded and assign work based on capacity. This collapses the schedule so you can quickly spot anyone who's booked over 100% (in red), people at 100% allocation (in dark grey), and anyone who isn't fully booked (in light grey). If you hover on any person's name, you can expand their schedule in-line to make changes right from this view. Sounds like this might be the digest type view you were mentioning. Hope that helps! Please let us know if you have any other questions (you can email us at support@10000ft.com). We appreciate your business. "Better than excel, but I'm not sure there is ever a good way of doing this"
It creates good overviews of where people are scheduled to be. It also is good for figuring out costs of features and projects and helps with billing customers T&M. It doesn't integrate with iris/freeagent so we can't use it directly to make invoices, which makes me think we might want to do our time logging in iris. iris, pivotaltracker, and 10k' are 3 useful tools that we use together that don't really link together. We could probably do more with the magic of URLs but I've not found a way to do it that isn't just a lot of running around and updating bits of text in boxes. There are a lot of bad tools for this, spreadsheets being one of them. This tool covers the basics even for a small team and we've had it scale to around 20 people. It is *really* useful for being able to look back over a long period of time and figure out where you have spent your time and being able to justify that time to whoever needs the justification. "Gran control de proyectos por presupuestos y por hora"
Tenemos un gran control de los datos para cada clientes 10,000 es una gran herramienta de administración, asignación y consumo de presupuestos podemos proyectar muy bien los resultados para tomar decisiones. Me encanta la facilidad para agregar recursos y presupuestos, la facilidad para mostrar y modificar desde el Gant. Seria genial poder gestionar las tareas ahí mismo. No es agradable no poder asignar detalles para la asignación de cada tarea con cada recurso. Solo se pueden asignar detalles del proyecto. si integraran funciones básicas como las de ASANA seria todo lo que necesitaría. "Easy way to track several clients and projects"
I like the simplicity and visual aspects of 10k'. I like that I can bounce between lookin at people and projects and people by projects and get all of the information I need quickly and easily. I wish I could track individuals' time and actuals without having to purchase license seats for each of them. We already have a time management tool. It just takes additional steps to marry up forecasted vs. actuals. To really get the full use and everything out of 10,000ft, you need use the time tracking piece. Prior to 10k' we were using a mix of Excel Spreadsheets, home grown account management software, and Float. All of which required a lot of manual manipulations and tracking to try to get to the information we needed to track and make informed resource management decisions and report back to leadership about resources. 10k' made it easy to see who was on what, forecasted for what, and provided some insights into estimating and forecasting. Thank you for the thoughtful review! It's great to hear your team is saving time and enjoying 10,000ft. We agree that using timesheets directly in the software makes it much more seamless to run reports and see budget impact in real time. We'd be happy to hop on a call to talk through account and pricing options if you'd like to get your full team tracking time in the app. Please feel free to email us at support@10000ft.com. "Completely changed my day to day processes"
The fact that we can add tasks to 10,000ft and be as detailed as we like - adding tasks, times, notes, assignees and more. I do wish you could drag tasks to other people rather than having to reassign them, but that's such a tiny thing. It's definitely worth giving 10,000ft a try - it combines the best bits of a project management tool and task scheduler. It's made it much easier for us to make sure we're delivering the work we've promised to clients - we charge at an hourly rate and 10,000ft helps us ensure we stick to that time. "Easy to use time management & budgeting program!" On 10k I like the fact that at a glance you can easily see if you project is over or under buget on the main project page. I wish 10k would have more ability to do expenses a bit more smoothly. I would definitely recommend 10k. It has been an easy on-boarding system, the 10k team is on call to help whenever needed, and this system has replaced 3 of our previous systems with just one inclusive system! Acurately align resources to available projects and address project profit or overage. Benefits: understand project timeline, budget, and team instantly in real time. "Good for high level forecasting"
That each project needs to be manually updated which means we can really only use it for high level forecasting as it becomes too fiddly to import data at anything more detailed than a monthly level. "Easy to use and keeps us organised"
I like how each person has individual views but there is also the schedule view so that you can see who has capacity. I also really like the reports and analytics. I wish that archived projects did not show up in the search box at the top of the page as it can be confusing for users. It is really useful and has lots of different types of functionality for different companies. We are using it to see how much future capacity we have to take on new projects. It helps to create timelines for future clients. "I understand what 10,000ft offers to a company but it feels less useful to actually use the software"
I like that I can report the time that I have worked on projects. It allows me to see how many hours I have spent at work in a day easily. The navigation aspect isn't easy. It makes reporting my time more of a chore than it does a useful task for senior members of my team. Also understanding the information on the screen at a glance, such as my schedule isn't easy. I don't really have any recommendations. Never used another software although I have seen advertising for lots of other software. The benefit is that I can see where I am spending my time and what I am spending it on. This means the business knows what is billable hours and how long it takes to work on certain tasks? "it's a lifesave for agencies"
Love most of the features - from time tracking to project allocation, but the killer feature is analytics. We are now able to understand where we spend our time better than ever before. We have slightly different work days (have longer lunches 3 days of the week), so time tracking looks a bit wonky and would like to be able to choose a custom length of the work week. Before 10k feet we had no idea how we were spending our time, but more importantly we were not able to look into the future. Now we know exactly how long our contracts and projects will last and when we might need to fill up our pipeline and how many new clients and projects we can take on. "User friendly interface, but needs more options for analytics"
Reports are challenging as information doesn't always seem to display correctly. Additionally, it would be helpful to have more reporting options so that for instance both time and fees can be reported against budgeted time and fees. "Good product with great support"
The platform is intuitive and easy to use, Time entry and project tracking is fairly well featured. Reliability is top notch haven't had an issue in the more than 2 years we've been using it. Lastly, their support is extremely responsive. Reporting features are a bit lacking. For anything complex you will likely want to export and use excel.The other issue worth mentioning is that if you have to curate/move time entires from job to job or change work categories it is very tedious as you will have to delete the existing entries and create new ones in many cases. "Our perfect tool for consulting business"
Some dashboards would be amazing, e.g. to see load / overload etc. "Good resource management and project management tool"
The ability to quickly setup projects, assign resource. The resource view is of great value to us and one of the main reasons we have stayed using the product. The main issue is the cost, as we need to increase our licence to over 20 people and at $450 a month which is over priced. Gantt chart functionality and better exporting options would be a great addition. Integration to Jira is also a must for us. Resource management is the real business benefit for us. We can see want anyone person is doing and working on. The reporting aspect is a great feature and used for our KPI production. "Buen administrador, mal diseño "
Es interesante poder ver en 10,000ft las gráficas lineales que muestran el avance o consumo de tiempo en los proyecto , así como es sencillo ver quien trabajo en cada proyecto y cuanto tiempo invirtió, así como poder revisar el presupuesto y los costos . La opción de poder dividir los proyectos por tiempos, gasto y avances esta genial. - La opción de crear el reporte final del proyecto es buena pero deberían existir más filtros. - Los filtros laterales de las pestañas como: My Views, Shared Views, Show son utiles para la optimización de búsqueda. - Las paginas muestran mucha información que aveces no es facil digerir para una persona que no esta al tanto de la data, Yo como Account Executive no puedo distinguir la data mas importante de la irrelevante . Los reportes del proyecto deberían tener más filtros para solo mostrar la data que le interesa al cliente. Mayor transparencia sobre quien y en que trabaja dentro del proyecto. It is efficient, easy to use, and looks good! Everybody is on track, great for cost control, and resource planning. Thanks to *.csv export capability, it is a good foundation for reporting in *.xls. I love that you can think and plan strategically! It makes running a business so much easier. I wish that it was a little more easy to collaborate and more user friendly. I recommend you check it out! 10K plans has some great features that will definitely make your life easier! To be able to leverage it makes it so my operations and strategy are streamlined, and I feel confident in what 10K plans does for me, that I do not need to worry about it functioning properly. It is the best decision I have made for my business when it comes to administrative, strategic, or operational needs! I am solving the needs I have to both handle the operations and strategy that my business requires. I have realized benefits from leveraging 10K plans because it is a HUGE time saver. I like that 10k updates my project budgets in real time as my team records their hours. 10k reporting is not the most intuitive and it can sometimes be cumbersome to drill down to get the information I'm looking for. We use this to track our team workload and for time reporting. It has been great to have these two things tracked in the same systems for ease of use. "Decent Project Management and Time Tracking Tool"
My company primarily uses 10,000ft for time tracking and client project tracking. Its easy to enter and approve time and the analytics reporting does the job. The mobile site still needs work, especially for logging time for time tracking purposes. The site struggles to save entered time tracking and information for each task. The mobile web pages also fail to display and render the page correctly, cutting off important information. Plan out your use cases with all teams and collective user feedback before implementing and rolling out to your entire company. Employee time and task tracking for agency client work. Good reporting and integration with other tools. "Perfect For Tracking Time & Task Management"
The simplicity of updating hours worked on a project and therefore knowing whether we have under or over-delivered on a specific task/project. There are a few features it lacks but these are likely to be on the road map - i.e. drag and drop of tasks within the schedule. This, for example, will save further time when scheduling in work or changing the person who owns the task. We use it mainly for time tracking so it gives awareness of hours used/planned. A benefit is over or under delivering of a project and therefore being able to charge a client for the exact amount of time used. "A good tool with more potential"
There's always more to be desired. I think the tool has a lot of potential. It's great 10,000ft keeps developing and the recent update was an improvement. We have a lot of projects in 10,000ft and the tool is a little slow at times. It would be great to have a drag & drop mode in the planning overview. Working together, keeping track of projects together with my colleagues. What pleases me most is the fact that it is clean and light, as well as the ease of finding everything about each project. I have a little difficulty in altering the tasks, and something that would be very useful would be the issuance of alerts related to the activities. Give the product a try and be amazed. Macro view of projects and assignment of tasks. "A Great Help for Professional Services Company"
It's a nice UI, coherently designed, that does what it does really well. There are still some gaps in how assignments are tracked and delivered for fixed-fee contracts. Hard to track profitability and payouts. Would be great to have better project management tools. Try it out. It's a great interface, well thought out. The system helps us track effort, costs, and billing on a monthly cycle. "Overall positive, with a few hiccups and learning curve"
Being able to resource for our agency of 100+ people. I love all the reports and being able to find data on projects quickly and easily. Learning curve at the beginning was a bit steep and took some people a long time to learn. Once we got comfortable it was really good. Use the tutorials and take your time! Resourcing and work allocation to 100+ people over 50+ clients. We've been able to expand, scale and grow while getting more people on the same page about what is going on and who is working on what. "No other scheduling system competes!" Working in professional services, I've found it extremely difficult to find a software that give me the overall, company overview of all projects, and phases of the project, as 10,000ft does. A Gantt chart just doesn't provide the insight that I need when I look at the schedule. 10,000ft's layout and view is unparalleled! I worry that 10,000ft's view won't be able to scale too much more with our company. It's beginning to get difficult to scroll up and down a page with 40+ people to understand all availability and best fits at once. Everyone on the team has clear insight into all projects. Not only the specific phase of a project they're assigned, but everyone else who is work on other various components of the project. This enables collaboration, saves time going back and forth about who's responsible for what, timelines, etc. Thank you for such a thoughtful review! We have some exciting features in the works designed to specifically address the performance of 10,000ft Plans for larger teams. Stay tuned! Feel free to email us at info@10000ft.com if you’d like to discuss further. 10,000ft allows me to keep on top of projects ahead of our weekly meeting. I can instantly see when projects are running over budget or at risk, and the analytics allow me to see precisely where and when over-working is occurring. It is time consuming to enter a new project and then to make any changes. The system could be more intuitive. However I like the responsiveness of the 10,000ft team and willingness to make changes. Ability to track where employees are spending time, tracking budgets and maintaining a forward view of team capacity. "10,000ft has given us SO much more insight into resourcing for our team!" Being able to track time spent against scheduled time. I wish there was a way to track expenses so we could tie them to client projects. Being more clear with our scheduling so we know when we need to bring in additional resources and having a better understanding of how much time we're spending on projects. Thanks for your review! We do have project expense tracking and reporting functionality that sounds like it will do the trick for your team. Hope that helps! As always, let us know if you have any questions. 10000 ft has helped us deal with the scaling up of the company, and move from manual spreadsheets to an actual system. We like the fact that we can customize the tool with API's, and it's very visual. Also would be very useful to be able to invoice from the tool; at the moment we wrote an API to send the billing info to our accounting system. It give us a good idea where all our consultants are working, and for what duration. Good financial information at a glance, and financial tracking. "One of the better time-tracking systems I've been forced to use"
The overall end-user UX is pretty good. It's simple, clean, and more or less straightforward, while also being surprisingly flexible. Aside from being forced to do time-tracking (which isn't 10K's problem), I'd say the biggest issue is know what you're supposed to do. There's a lot of hidden functionality, buttons that don't look like buttons, links that don't look like links, etc. At the expense of making their UI clean, they've taken simple things and made them complex by hiding or masking them. There's a LOT of power under the hood, but they've hidden it all under a sometimes complex maze of menus. Once you've discovered them by playing around or had someone show you, it makes sense, but it's generally not easily discoverable. I imagine computer novices would struggle with this platform a great deal without some training or a quick tutorial by one in the know. That said, it's still pretty great once you get over the learning curve. If you've got to force people to track their hours, you could do much worse than 10K' (I'm looking at you QuickBooks Online Edition - yuck). As a consultancy, billing is everything, so it's incredibly important that we track our billable hours daily to ensure we're not giving away our labor, getting paid correctly for work done, and not over-billing. 10K' makes that pretty darn simple. I just leave the browser tab open all day and track things as they get done, and make a final pass at the end of the day. The overseers who admin the system have a LOT of flexibility in setting up the system to do exactly what they want which is pretty cool. As an end-user I don't see that side of it, but they seem to enjoy it. They set up pre-alloted hours so we know how much we can/can't work for a given client, while also ensuring we meet our target billable hours. They add/remove/lock projects to ensure we're all billing the right hours to the right SoWs. It's all pretty well laid out feature-wise IMHO. "Useful for team wide viewing"
It's useful for me to see not only how many hours I have in a project but to see how many hours a delegated task takes others in our team. It really helps keep all team time in one place. Capacity and budgeting. Understanding whos doing what when and how long they have to do it. "Great for getting small teams organized"
I'm a relatively new user of this software and so far it's been great for managing projects, especially those with strict budgets. It's very easy to learn and use every day. It's very customizable, so we're able to make it our own instead of trying to make it work for our agency. You can build projects down to the tasks and assign people over time so we're able to get a great look at capacity. Plus you can make it look nice with your profile image and project / client image covers. Lots of functionality, almost too much and it doesn't sync with other programs like Slack and Outlook, so I have to remind myself to make sure I check it consistently and update it in real time. It's less friendly for 'doers' and way more friendly and powerful for project managers and those controlling budgets. Best for smaller teams in my opinion. Be okay with still having to use other systems for expenses, file management and instant messaging. Get high-level visibility of the profitability of our agency. We used to use Harvest and it wouldn't allow for us to watch the budget of the project in real-time and manage the capacity of the team. Not thinking about timing work anymore and having to put a timer on and off all the time. The interface feels a little dated and disjointed in places with a bit of lack of intuition. It makes timing the tasks and jobs that employee's are working on much easier. Rather than ticking a timer on and off all the time, they are able to generalise their time into blocks, as well as see what they are planned to work on each day of the week. "Easy to use tool to track workload across resources and analyze spend." I like how it's easy to use and most features are intuitive so you there is not much of a learning curve. There are times it's slow and takes a while to calculate numbers or refresh once a change has been made. We are tracking workload across resources to make sure our resources have the bandwidth to accomplish what needs to be accomplished. There are also quite a few tools to analyze spend, which I find very useful when managing a project and budget. "Great tool for team and project management!" This helps me and my team stay organized both from a talent/people perspective of who is working on what - and also from a budget perspective. There is no mobile app - you have to use this on your desktop or laptop. If you run a medium to large sized consulting business - definitely consider this software. I'm not sure how much it costs (I don't handle procurement side of things at my business), but it is definitely a game-changer for how we can plan, align, and visually see our bandwidth and capacity on one platform. 10,000 feet also allows you to input overall project budgets and track expenses to make sure you are staying on track. Highly recommended! I work in consulting where we have many, many team members rolling on and off projects at various times. Should make 'confirm time' feature configurable so that admins can turn it on/off. Some team members use this as a short cut which means they're not representing the hours they worked accurately. example: Tom is allocated for 4 hours but he actually worked for 10. If he clicks 'confirm' he reports that he worked 4 hours rather than having to manually enter the time he actually worked. It's great at seeing which team members are consistently over/under allocated and allows us to figure out whether we need to look for new recruits in particular roles. "Great tool for reporting and forecasting"
In addition to the scheduling features, I personally utilize the Analytics 10,000ft Plans extensively and really appreciate the robust set reporting features that the system offers. 10K has made a lot of efforts in the last few months to boost the performance of the system which is really appreciated when working with a larger and growing company. Not having to spend a lot of time waiting for thins to load really helps. One very small aspect of the UX that could be hidden or gotten rid of entirely is the ability to delete overlapping assignments. Too often people are piecing back together schedules when someone clicks the button as it is very easy to hit when working with the more advanced functionality in the scheduling interface. It would also be great if schedule adjustments happened in real time so everyone coordinating on scheduling doesn't have to refresh their browser when an adjustment is made. 10,000ft Plans has fantastic set of features as well as top-notch and responsive support! Every time I have an issue or a request I receive a response within a few hours and a resolution usually within a day! We can forecast, plan, and track the progress of all of projects and maximize our team's time and potential. "Good for large fast teams "
Sleek interface, great repository of project details, great analytics feature. Not super great with expenses, print options are lacking. Inefficiencies with creating, updating, and linking between multiple Excel documents for company and project health. "Great for managing team work load"
I thought the product gave the Project Managers and the team a good overview of the projects they should be dedicated to everyone could understand how much time was allocated to each client. We still needed extra explanation for priority of projects that'd have to be communicated. Some of the UI elements seemed clunky, I'd have to start over because I would be viewing by person and need to switch to team. Navigating between views was not always easy. How to manage project allocation and sales for the current teams. Is everybody busy or do people have capacity for more work? "Very useful resource management tool. " Really quick and easy to allocate and change resourcing across the studio. Can set up saved view for different teams etc. Colour codes could be better for a colourblind user. Perfect tool for those looking to manage resources across a number of projects within a studio. * We monitor all 10,000ft reviews to prevent fraudulent reviews and keep review quality high. We do not post reviews by company employees or direct competitors. Validated reviews require the user to submit a screenshot of the product containing their user ID, in order to verify a user is an actual user of the product. Hi there! Are you looking to implement a solution like 10,000ft?